Early blogs may have largely taken on the form of online journals or personal diaries, but they have since evolved to become increasingly commercial and influential web publications. The term 'blog' itself has equally humble beginnings and has subsequently expanded its influence all around the world. The use of the term "log" in this sense is the same as it is used in nautical contexts, like a log book for documenting the details and events surrounding a particular journey. In like manner, Barger was logging his experiences as he visited different websites. The term 'web log' was further shortened by programmer Peter Merholz in the spring of 1999, when he decided to pronounce weblog as 'wee-blog,' or 'blog' for short. This was then popularized by Evan Williams and Meg Hourihan at Pyra Labs when they launched a new web platform that would eventually become Blogger. This would then lead to related terms like 'blogger' and 'blogging' where the root word 'blog' could be used both as a noun (e.g., this is a blog) and as a verb (e.g., he is going to blog about this). Later, Evan Williams also co-founded microblogging platform Twitter and online publishing platform Medium. Merriam-Webster selected 'blog' as its top "word of the year" in 2014, defining the term as "a Web site that contains an online personal journal with reflections, comments and often hyperlinks." The rise to prominence was partly attributed to the impact that blogs had, as an alternative to mainstream media, during the U.S. Presidential election that year between Republican George W. Bush and Democratic nominee John Kerry. 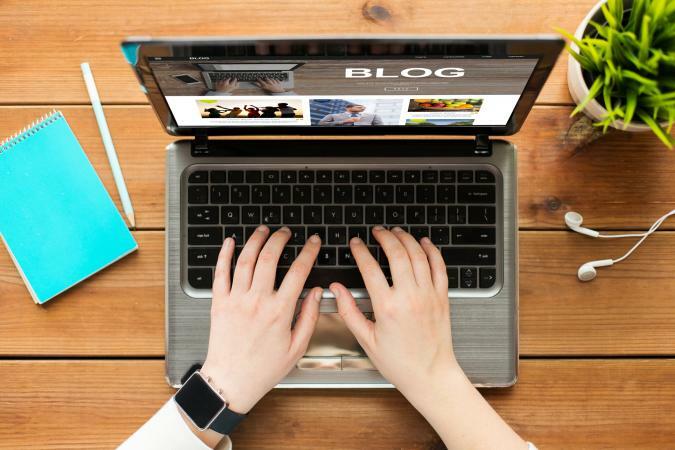 While there is ongoing debate over whether blogging is on the decline, the reality is that blogs have simply expanded to take on different forms. These include shorter posts on platforms like Tumblr, as well as related endeavors like vlogs and podcasts. As long as the web continues to exist, people will continue to 'log' it.